Baseball is a sport that’s in a bit of an awkward position right now. Viewership has been declining and the excitement just hasn’t been there like it used to. Every now and then big moments will draw fans back to the sport such as the Chicago Cubs winning the World Series or the 2018 Dodgers vs Red Sox World Series. 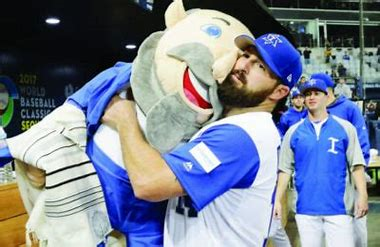 In 2017 there was one of those moments involving Team Israel in the World Baseball Classic, an underdog story like no other. 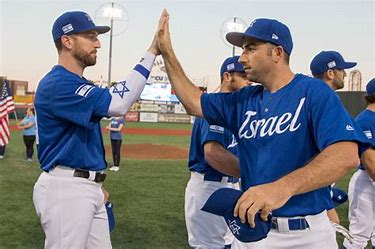 Not much is known about this cinderella team but in the documentary Heading Home: The Tale of Team Israel, we are allowed into the truly groundbreaking story of this team. What happened with Team Israel is something special to really behold. They were an underdog in every sense of the word who just wanted to show that they belonged too. In sports we love a great underdog story. We love seeing the giant go down and the Russian get cut. Team Israel did just that and shocked the world. This documentary shows this journey with a sense of wonder and respect. You could feel just how important this team was to both the filmmakers and the players themselves. The directors Seth Kramer, Daniel A. Miller, and Jeremy Newberger put us right behind Homeplate as an audience and took us through the adventure this team went on. 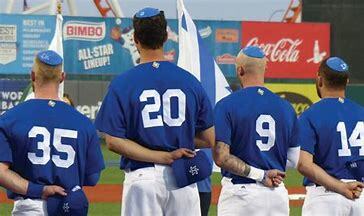 Team Israel has never really been a thing prior to the WBC. They were thought of as just a minor league American team with no real threat of winning. When Team Israel started advancing and shocking the world, it left an impact on the people of Israel who finally had something to cheer for and feel pride in with sports. It turned into something that was more than a game, it was a tidal wave of happiness that swept over the country and fans across the world. The players of Team Israel are very heavily featured in this documentary as well. They are the ones who made this story happen and hearing their experiences and feelings helped this film sing. Most of these players are journeymen minor leaguers who may have had brief stints in the MLB, but none really have taken off. With that in mind, when they came together they had something to prove. The players talk about just what it meant to be recognized finally and to mean something. This documentary also delves into the religious side of this story. They address what it meant to be a team comprised off all Jewish men and how that affected them growing up. Some of the guys had a tough time experiencing anti-Semitism and had to learn to overcome it. One story in particular involving two women at a bar is truly disgusting. What these players do during this journey is not just win but embrace their heritage and come together to have this extraordinary moment. The documentary shows both the sports and culture side to this team and highlights this moment that more should know about. 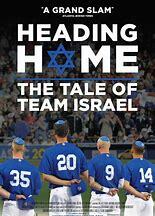 Heading Home: The Tale of Team Israel is a great documentary for both sports fans and film lovers alike. It tells a story that took the world by storm and made it relatable to all. There is passion and love bleeding off this film from the players and directors who want this story to be heard and care about the material. Regardless of your sports fandom or if you know this story already, I guarantee that everyone will take something from this documentary to carry with them for the rest of their lives. HEADING HOME: THE TALE OF TEAM ISRAEL opens Friday, February 8 in South Florida at the following theaters.